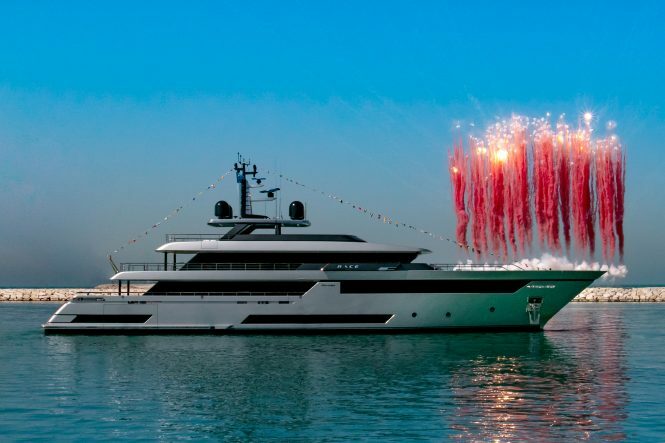 The 50m superyacht RACE was launched last weekend at Riva Superyacht Division in Ancona, Italy. RACE was the dream of Carlo Riva, the founder of Riva, who unfortunately passed away last year. 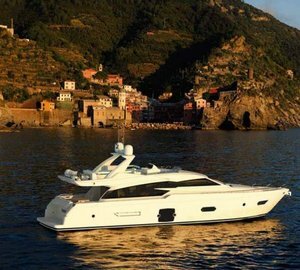 She was designed by Officina Italiana Design in collaboration with Ferretti Group Product Strategy Committee and is the largest yacht built by Riva so far. “From the tiniest details to the breathtaking design, this 50-meter yacht is a treasure of beauty, illuminated by a legendary 177-year history and accompanied by an ultra-contemporary vision of yacht building. 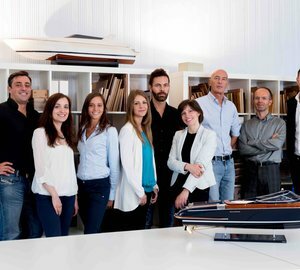 The production know-how that people admire in a work of this value is also the best possible example of the ‘Made In Italy’ manifesto that is the signature of each of our brands,” commented Ferretti Group CEO Alberto Galassi. RACE is an elegant and ultra comfortable yacht built with superb naval architecture and advanced technological solutions. 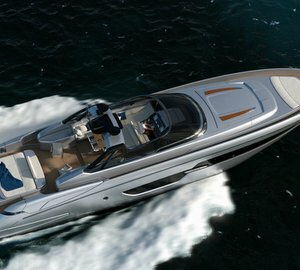 She will attend the Venice Boat Show in June and then will make an appearance at the Monaco Yacht Show. 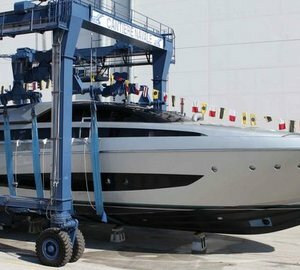 Please contact CharterWorld - the luxury yacht charter specialist - for more on superyacht news item "Carlo Riva's dream superyacht 50m RACE launched at Riva".